Newt Gingrich of all people is the last gasping, gas bag who needs to call anyone a racist or tell anyone to resign. PUHLEAZE. This is all about smearing Judge Sotomayor and forcing her to resign. Why? Because the Republicans simply do not and will not have the votes when it comes to block any confirmation. They do not and will not have the power to start the process. They do not and will not have the say on the dates of the confirmation. 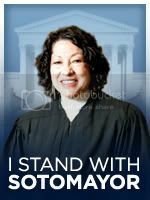 They will be FORCED to attend these confirmations, they will not be given MONTHS to review Judge Sotomayor opinions, since she was confirmed TWICE by many still sitting in the senate. Elections DO HAVE CONSEQUENCES!! And soon this whine farce will be over!! Just a day after President Obama announced he was nominating appellate court judge Sonia Sotomayor to the Supreme Court, the battle over her confirmation has begun with former House speaker Newt Gingrich branding her a racist and saying she should withdraw. Gingrich today joined the chorus of conservatives such as Ann Coulter and Rush Limbaugh, who called Sotomayor a "reverse racist." The accusations are aimed at comments Sotomayor made during a 2001 lecture at the University of California-Berkeley. Referring to former Justice Sandra Day O'Connor's saying that "a wise old man and wise old woman will reach the same conclusion in deciding cases," Sotomayor said, "I would hope that a wise Latina woman with the richness of her experiences would more often than not reach a better conclusion than a white male who hasn't lived that life." On Wednesday afternoon, Gingrich wrote on Twitter: "Imagine a judicial nominee said 'my experience as a white man makes me better than a Latina woman' new racism is no better than old racism." "White man racist nominee would be forced to withdraw. 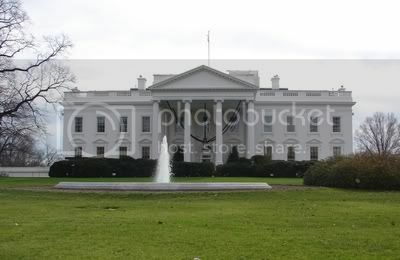 Latina woman racist should also withdraw," Gingrich wrote. Judge Sonia, just hang in there. You will be confirmed by the end of the summer and it will be upwards of 70 votes of the senate. This faux nonsense by the Republican Party is the reason they are out of power. They are grasping for air and trying to get any straw. They are represented by the likes of King Rush and Shrill Ann Coulter, with despicable Hannity and Glenn Beck following suit. The real racists are the bigots making the noise. Stay classy, Judge Sonia Sotomayor it won't be long until these gas bags must STFU.